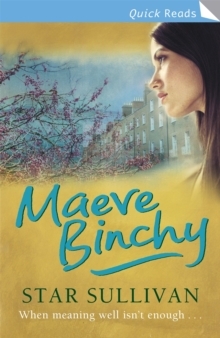 Maeve Binchy is one of Britain's most popular storytellers, and these four tales demonstrate the warmth and compassion that have made her many novels bestsellers. 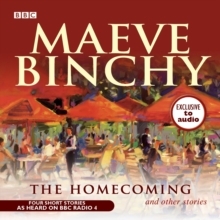 In 'Homecoming', read by Sean Campion, the Brennans run Quentin's restaurant in Dublin for the owner, who lives abroad. But what will happen when he suddenly pays a visit? 'Telling Stories', read by Joanna Myers, sees Irene's fiance turning up the night before the wedding with a face as white as the dress that is to be worn the next day. Then trouble starts... 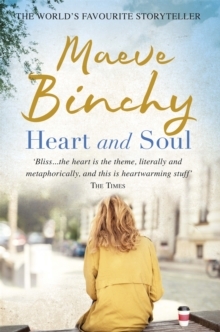 In 'Needy', read by Patricia Hodge, Heather is painfully aware that Valentine's Day declarations of love should be viewed with suspicion, even if the sender is the one she loves. 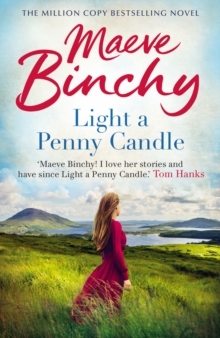 And in 'The Interview', read by Kate Binchy, Bessie is deaf and needs a place in a special school. But will she pass the interview? 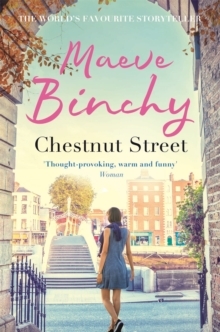 Finely crafted and full of wit and charm, these are stories that no fan of Maeve Binchy will want to be without. 1 CD. 1 hr.